Freshlook 1 Day colour contact lenses are just right for those times when you want to create a different look for the day, or only for a night. They are the healthiest colour option as you start the next day with a fresh pair. 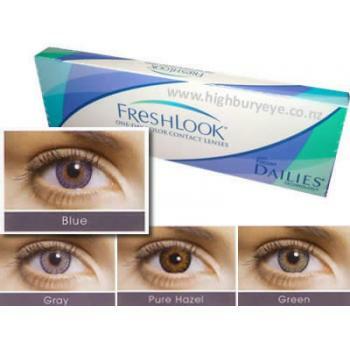 If you wear conventional CIBA dailies or CIBA Aqua Comfort Dailies then you can easily wear Freshlook 1 Day colours as well.